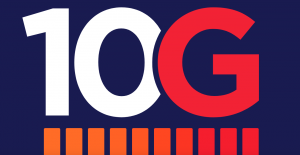 Cable technology organisation CableLabs and US cable association the NCTA have used CES in Las Vegas to unveil their vision of the rollout of ultra high-speed broadband services and has trademarked the term ‘10G’ to communicate it. CableLabs said that US cable operators including Comcast, Charter, Cox, Mediacom, Midco and Cogeco, alongside international players such as Rogers, Shaw Communications, Vodafone, Taiwan Broadband Communications, Telecom Argentina and Liberty Global are implementing the 10G initiative, with lab trials already underway, and field trials beginning in 2020. Chipset maker Intel has committed to deliver 10-Gigabit-ready technology “from the network infrastructure to home gateways”, according to connected home division VP and general manager WK Tan, in a blog posting. The company said that it was working with MaxLinear to create a new family of 10 Gigabit-ready gateways for the home. Cable technology outfit Arris is also supporting the initiative. In a separate blog posting, CEO Bruce McClelland said that the 10G project was “one of the most significant announcements in our industry’s history” and will result in a broadband platform that “will outperform every other platform in transforming consumer experiences at home, at work and everywhere in between”. McClelland promised announcements of pilot projects “shortly”. The ‘10G’ vision highlighted by CableLabs and the NCTA leans on the 10 Gigabit Full Duplex DOCSIS standard that CableLabs has been working on for some time and which is designed to deliver symmetrical bandwidth upstream and downstream. The major shortcoming of Full Duplex DOCSIS is that requires a so-called N+0 architecture, meaning that operators have to upgrade their networks to eliminate amplifiers between the node and the home, although technology players including Arris have been working on ways to mitigate this. Hitherto, interest in Full Duplex DOCSIS among European operators has been muted, with a number arguing that there is currently little evidence of demand for symmetrical bandwidth. CableLabs and the NCTA are collaborating to develop a global certification programme for 10G technology as part of the latest imitative. “With groundbreaking, scalable capacity and speeds, the 10G platform is the wired network of the future that will power the digital experiences and imaginations of consumers for years to come. As an industry, we are dedicated to delivering an exceptional national infrastructure that will power digital advancement and propel our innovation economy into the future,” said NCTA president and CEO Michael Powell. “CableLabs creates the technology that supports the deployment of high-capacity broadband networks and gigabit services at scale for the industry. With the 10G platform, CableLabs will help ensure the broadband infrastructure will be in place globally with the capacity and performance needed in the future to fuel new innovations and emerging technologies that will transform and enhance the way we live,” said CableLabs president and CEO Phil McKinney. Separately, in a white paper on next-generation broadband and connectivity published to coincide with CableLabs’ 10G announcement, European cable industry association Cable Europe has called for regulation based on competition law, with sector-specific regulation of the type that has bedevilled cable in Belgium and the Netherlands limited as much as possible. Cable Europe said that innovations such as the delivery of 1Gbps symmetrical bandwidth over cable along with fixed-mobile convergence were “the grassroots of the best type of competition”, forcing competitors to step up their own investments in technologies such as fibre-to-the-home. The organisation said that regulation of broadband infrastructure should be based on competition law rather than sector-specific rules, and state aid should be deployed only in extreme cases.